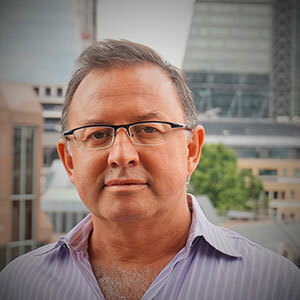 Tim Williams is a highly successful business leader working in a number of verticals internationally. A former city trader in the City of London, Tim worked on the foreign exchange trading floors and grew a deep understanding of how money and other financial instruments worked. Moving on to a long career in technology and telecoms, Tim continues to work with cutting edge products and services. As a global Sales Director he focused on business strategy, building teams and driving results. The skills gathered in these roles underpinned Tim’s natural move from telecoms into cyber and IT services with security and data challenges following a similar path to the scale and opportunities of the telecom sector. Tasked with managing the public charity donations for the Nelson Mandela 90th anniversary concert in Hyde Park sparked a long held association with the power of combining technology and music. As CEO of OHMz, Tim believes that a global music marketplace can be achieved with artists & managers and music fans working symbiotically to create a fair music ecosystem that harnesses technology to enable musicians to thrive and fans to enjoy. OHMz is a multi-layered music business focusing on discovering and developing talent, creating new content, offering a fair music exchange for tickets and merchandise and enabling artists to be paid fairly, accurately and quickly. Tim is a speaker and panellist and heralds the power of the blockchain as ideal for the music business, by enabling smart contracts and the championing the fair disbursement of revenue and royalties.